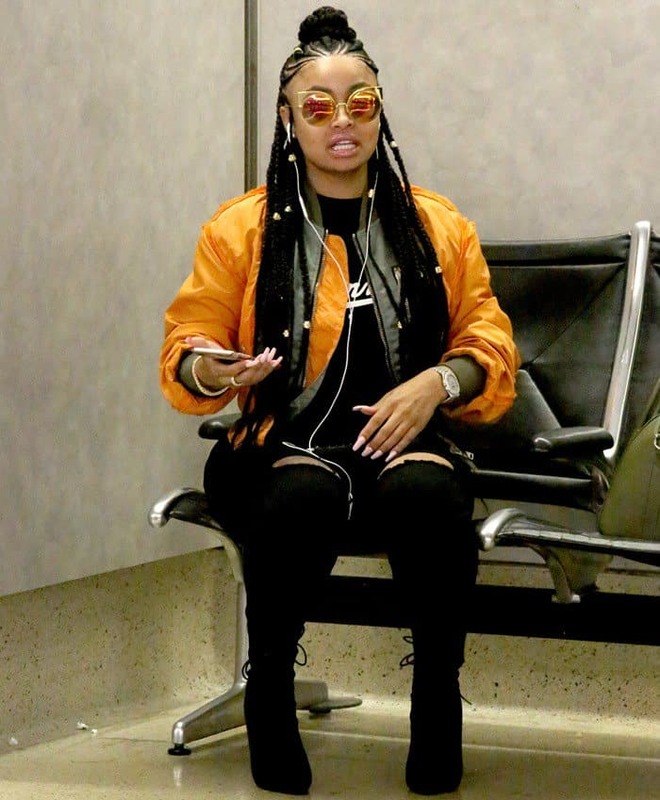 Blac Chyna arrived to LAX Airport looking like a rock star to catch a flight out of town on Saturday in Los Angeles. It’s still unclear why she needed wheelchair assistance. According to TMZ, the 29-year-old reality star has been taking meetings with several record companies in Los Angeles to sign a contract. 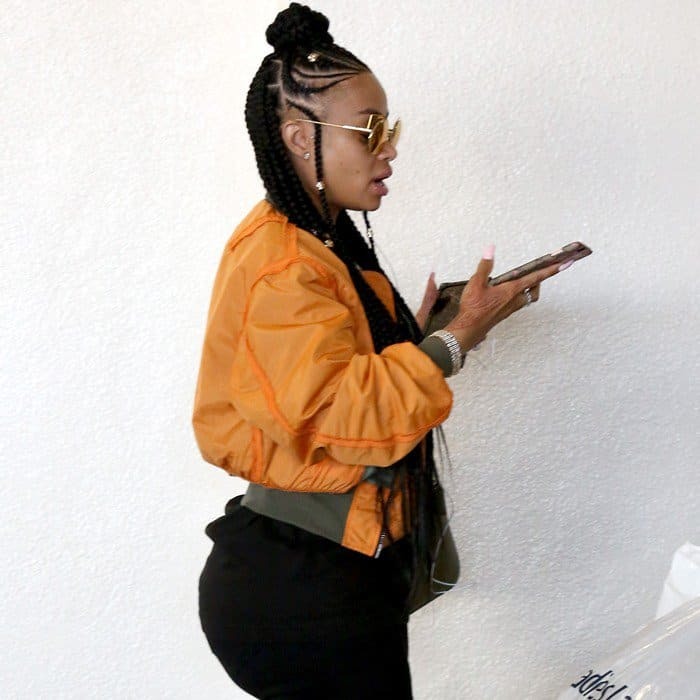 For her airport appearance this weekend, Blac showed off her new braided hairstyle, thankfully an improvement over the red hair she’s been sporting recently. She carried a cool khaki ‘Antigona’ bag from Givenchy and showed off her voluptuous curves in knee-ripped skin tight black leggings, a black t-shirt, a sporty orange bomber jacket, and black knee high lace-up boots. Don’t you just love her sunnies?